I have a site running on Apache. 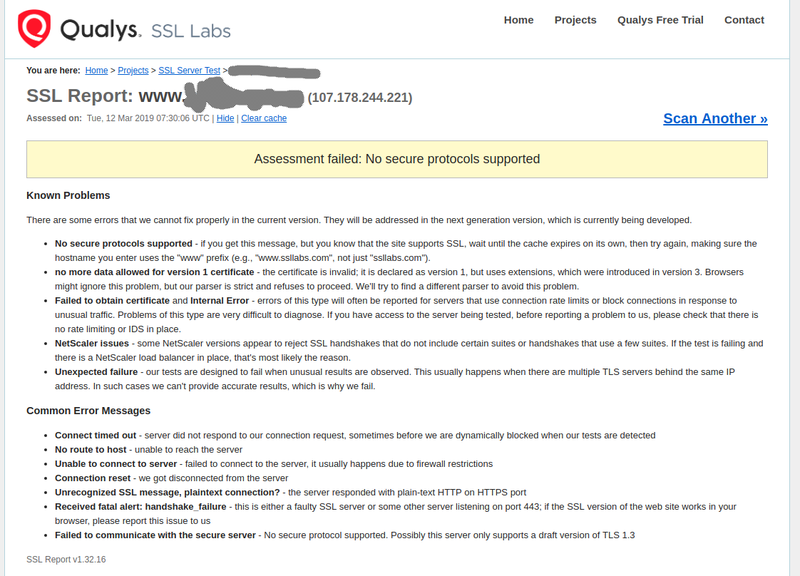 My site is working properly for http requests, but not for https. And the IP 107.178.244.221 is not my IP, it is Google's IP. I have already enabled mod_ssl and opened ports 443 on the firewall. I can connect to it through telnet on port 443. It seems that when the certificate was generated it took the ProjectShield address, and I think that is why my certificate is not working, and that is why browsers are closing the connection. 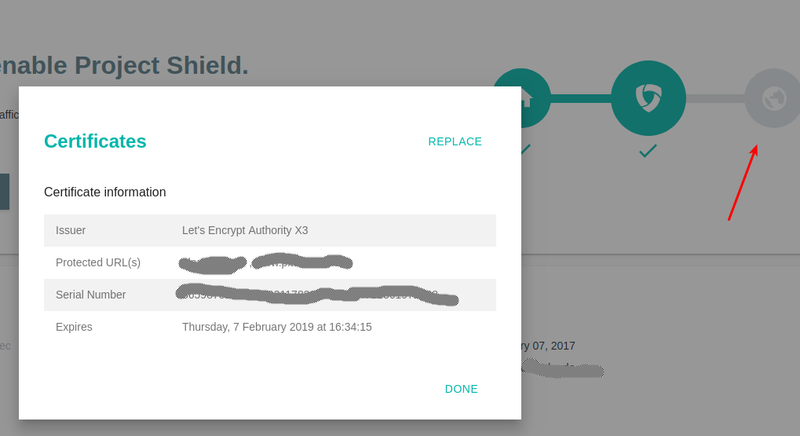 Is it possible to generate a Let's Encrypt certificate having the site behing ProjectShield. Please help me, thanks! UPDATE: ProjectShield detects my LetsEncrypt certificate, and that makes me think that the configuration for ProjectShield and the certificate is working. As I'm recently pointing to another IP ProjectShield is not enabled. I have to create 2 A records but currently, I don't have the DNS management, so I will update in a few days. It looks like you've just put your site behind ProjectShield by making the changes to DNS and then assumed that HTTPS will simply work if it was setup on your origin server. This is not the case. ProjectShield is essentially a CDN which does content inspection. In order to do so with HTTPS it needs to have a certificate. I recommend that you read the documentation on Set up your website with Project Shield slowly and in full. Then you will see that it points to Set up a new site with https (SSL) which describes how to properly setup a site for HTTPS. Not the answer you're looking for? Browse other questions tagged ssl ssl-certificate lets-encrypt certbot or ask your own question. Https: not working but :443/ work?